This is a sad week for a few of our seniors who have experienced a home invasion for the first time. One such lady, who lives in Alice Springs, was invaded by six youths who also assaulted the 87 year old woman with a golf club. This appalling act of violence and obvious lack of respect for our senior citizens must act as a reminder that we are still a community and we should all look out for each other. While these seniors who have been affected by these invasions can contact Victims of Crime and be compensated in various ways, we believe that a proactive approach could prevent this and ensure that seniors are safe in their own homes. As an example, with the new Tradies scheme of $4,000, and with the home owner also having to match the $4,000, how many of our seniors who are home owners but pensioners or part pensioners can afford this? We would suggest that the NT Government make available the $4,000 to seniors and vulnerable Territorians who can’t qualify for the scheme and use this to upgrade their home security. Isn’t prevention better than cure? Our seniors would prefer to stay in their own homes, but also want to feel safe and secure, which we as a community and the NT Government can surely assist with. COTA NT would request that the NT Government be more proactive and look at solutions for our seniors so they can still enjoy the comforts of their own home while not wondering, am I next? 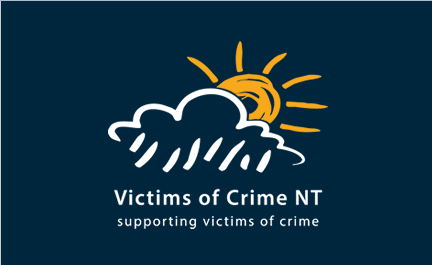 Victims of Crime Freecall 1800 672 242 for counselling, information and support to all victims of crime.